Currently, I am reading Never Fade by Alexandra Bracken. This is the second book in The Darkest Minds series. This book is about how girl named Ruby has a disease that almost killed her and killed most of America's children. She now has to track down a boy named Liam, who holds something that is very important, but to do that, she must break free from the Children's League, which is a very hard task in itself. While reading the first book, I predicted that Liam would be the one who stole the flash drive with all of the crucial disease information, so therefore, my prediction was correct. I also predict that in the second book, Ruby will come out on top and get the flash drive back. My partner for this project was Maddie and we both read books by Jason Reynolds. She read the book When I Was the Greatest and I read Long Way Down. In these books, there were many clear connections to Reynolds's life and some similarities between the plot of each book. In both books, Jason Reynolds wrote about kids of color who didn't grow up in the best or safest neighborhood. This aspect of the novels was drawn from his own life because he felt that when he was growing up, he never saw himself as the character in a book. This was also part of his inspiration, to write books that had characters that looked different so that every child could see them self in a book. In my book, Will's brother was murdered and in Maddie's book, there were ideas that showed the neighborhood wasn't very safe, like town curfews and constant police patrol. This allows readers to draw a connection that he wanted his readers to realize that he didn't come from the best neighborhood, but he still did wonderful and admirable things with his life. There are many ways to find new books on the Booklikes website. One of those ways is by going to your dashboard and then clicking on the tab that says book catalog. 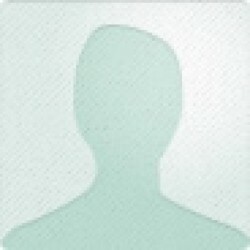 By clicking on this, you can search for books based on genre. By using this method, I found other books that Alexandra Bracken has written, such as Passenger. In the book Long Way Down by Jason Reynolds, there are a few similarities between his life and the plot of the story. In his life, he never saw himself in books, which is what inspired him to write about kids of color. He never grew up in the best neighborhood and he had to learn to be tough. In the book, the character Will also had to be tough and fight for himself, as well as protect himself. His childhood life is what inspired him fully to write books about kids that are like him. ""My stomach was aching, the quaking world in the bottom of it, and it wasn't long before I could feel myself splitting apart" (Reynolds 229)." This quote is important because Will is in the elevator with his father and he thinks that his father is now trustworthy. Then while they are hugging each other, his father pulls Will's gun out of his belt and holds it to his head. This leaves Will feeling betrayed and terrified. He realizes that at any moment, his father could kill him and he is so hurt because he thought his father was finally worthy of his trust and love. I'm Alessandra! Genres that I enjoy are fiction, mysteries, and thrillers. 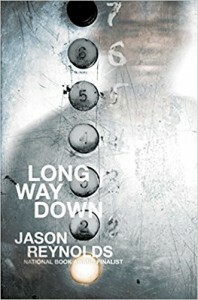 Right now, I am currently reading Long Way Down by Jason Reynolds. Recently, I have read another book by Jason Reynolds called When I Was the Greatest and I reread Divergent by Veronica Roth. I chose my current book because I really enjoyed some of Reynolds' other books and I have heard so many great things about him. Currently, I am reading Long Way Down by Jason Reynolds. This book is about a 15 year old boy named Will whose brother was murdered. Will's town has three main rules; no crying, no snitching, and always get revenge. Something that is unique about this book is that it is written in verse. Another unique quality about this book is that it all takes place over the course of one minute. A connection that I made in this book is with the things that are happening in society today that include the topic of guns. Although it is sad, there was definitely a connection that I could make between the novel and our world today. I predict that Will is going to find the person who killed his brother because he desperately wants revenge. He is not going to let the murderer get away with what he did. Will demands that his brother gets the justice that he deserves.